Welcome to Wedding Sparklers Outlet’s blog. Check out the latest in all things related to sparklers for weddings and other special events. Add some sparkle to the season by browsing the latest topics in throwing fabulous events, and the pieces that come together to make them so. From sparklers for a wedding to decorative display buckets to more, Wedding Sparklers Outlet has something for you. You Need Sparklers, But It's Not the Fourth of July - We've Got You Covered! Featured Wedding Sparklers FAQ: How Close to the Big Day Should I Order My Sparklers? If you are trying to figure out where to buy wedding sparklers, the best place to look for them is online at Wedding Sparklers Outlet. Not only will you get the best possible prices, but you can buy them in bulk. While there are many common questions when it comes to buying wedding sparklers online, perhaps one of the most common concerns is how close to the big day you need to order them to ensure they will arrive on time. Since all online retailers must use some form of ground transportation, the shipping times are very similar. That is, once the shipment has been made. The shipment of any type of firework, gunpowder, ammunition, and explosives is highly regulated under a number of federal, state, and local laws. These laws prohibit the shipping of these items in any type of commercial aircraft. This means the only way these items can be shipped is via commercial carriers such as UPS, FedEx, DHL, and many others. These regulations were put in place to protect others from the risk of accidental explosion. How Soon Do You Need to Order Your Wedding Sparklers? Shipping times vary depending on when you place your order and where you live. As long as you place your order before 2 p.m. Central Time and it's not a non-business day, or a holiday, Wedding Sparklers Outlet will ship them out the same day. After your order has shipped, we will send you an email with your UPS tracking number so that you can see when your wedding sparklers are supposed to arrive. Shipping times can be a short as one day or up to fourteen days based on how quickly UPS can move your order along the line to your doorstep. The same thing that applies to putting wedding sparklers in airplanes to ship them, applies to express shipping. This is simply because they would have to be flown to the nearest airport hub to your home in order to meet the express shipping deadlines. The same rules apply to shipping sparklers to Alaska and Hawaii as well anywhere outside of the continental United States. One last thing to consider as you look for where to buy wedding sparklers is that the sparklers we offer at Wedding Sparklers Outlet have a virtually unlimited shelf life. With this in mind, you can order your wedding sparklers months in advance to ensure you have them when they are needed. But at the same time, you should never wait until the last moment to order your sparklers as they may not arrive in time. 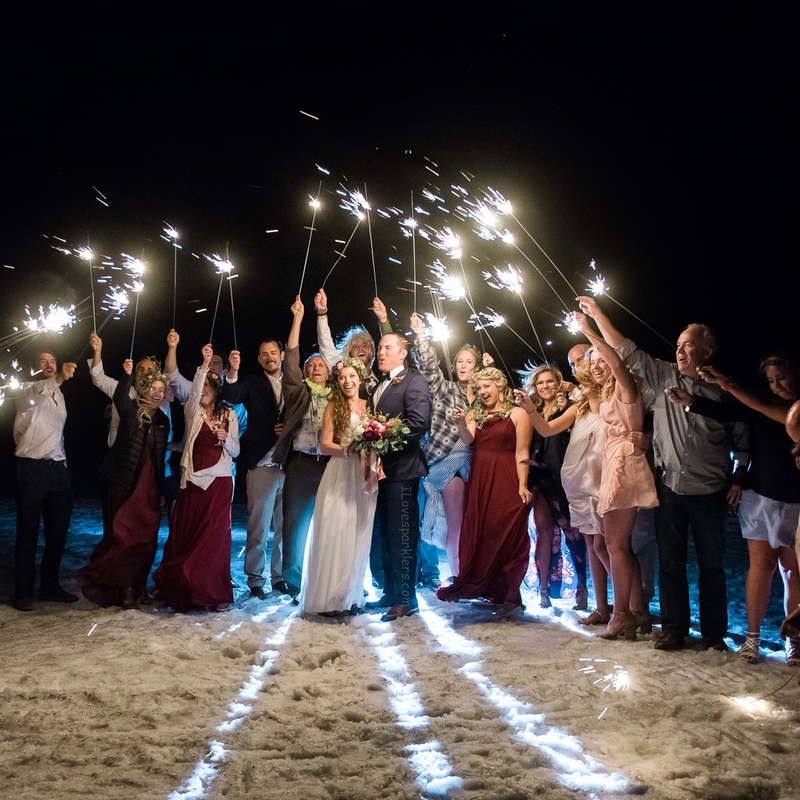 If you think that you may have waited too long to order your wedding sparklers, why not give us a call at (281) 205-8999 or email our sales team at [email protected]. They can take a look at your order and let you know if it will arrive on time for your big day ensuring that no one will be disappointed. Copyright Wedding Sparklers Outlet. All Rights Reserved. eCommerce Software by 3dcart.